If it sounds like we're hyping FRIEDMAN's performances, it is because he is indeed that good! 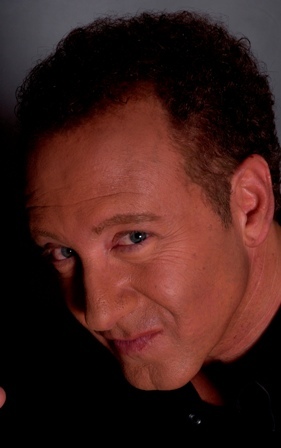 Mentalist SIDNEY FRIEDMAN is the performer of the MIND POWER SHOW for corporate entertainment and party entertainment in Chicago, New York, Los Angeles, Florida, Arizona, London, Paris and around the globe. As seen on the TODAY SHOW and THE VIEW, Friedman is the only psychic entertainer for corporate and party entertainment who can sense song melodies from your mind and then play them on the piano. It is an astounding feat he calls "Music Mindreading." The CHICAGO TRIBUNE calls him "the master of all things psychic" and "the mentalist to the stars" for his large celebrity clientele. The TODAY SHOW's anchor Hoda Kotb says, "Some people are better at seeing the future than others, like mentalist SIDNEY FRIEDMAN. We love Sidney!" And you'll love him too. Perfect for after-dinner show entertainment, conferences, meetings and client entertainment. Friedman is also the author of the best-selling book YOUR MIND KNWOS MORE THAN YOU DO which reached #8 on AMAZON. Sophisticated, fun, warm, inspiring and popular, Sidney Friedman has 14 years experience. With over 110 engagements per year and a unique array of ESP and mental feats, you are assured of a WOW performance. For audience sizes of 10 people to 10,000 people.